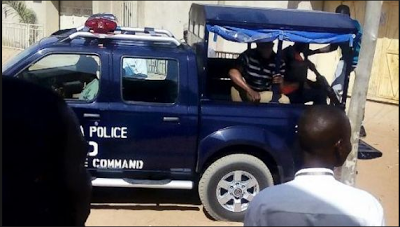 Officers of the Nigeria Police-Osun State command, have arrested one pastor Timothy Abiola for allegedly killing his fellow clergyman, Pastor Bamiji Ilori. The incident which occurred recently at Ikire, Irewole LGA of Osun State, was disclosed to press men on Sunday by the state Police Commissioner, Mr Fimihan Adeoye. According to Folasade Odoro, Police spokesperson; Pastor Timothy’s reason for killing his friend and fellow clergy with a gun has not yet been ascertained. He stated that a relative of the deceased, Adedeji Ajao, had over the weekend reported to the police that his uncle, Ilori had been shot dead by his friend, Timothy, who is also a pastor. According to the CP, police detectives were immediately deployed to the scene of the incident where the remains of late Ilori was found with a gunshot injury to his head, noting that when the suspect was arrested, he confessed that he actually killed his friend. Adeoye said that the body of the slain pastor had been deposited in a mortuary at the Catholic Hospital, Oluyoro area, in Apomu town, for autopsy, while the one dane gun suspected to have been used by Timothy in perpetrating the wicked act has been recovered from him. He added that investigation has already commenced for the conviction of Timothy.